Wayne Allen | Daily Times The 2015 Scioto County Fair saw an increase in attendance when compared to previous years. The 2015 Scioto County Fair has come to an end, and while the week was filled with rides, food and entertainment, overall attendance increased when compared to previous years. There were 38,130 people attend this year’s fair, an increase of 683 people from the previous year. The increase in attendance could be attributed to a variety of factors, including weather. “We were blessed with perfect fair weather, which made everything really enjoyable. 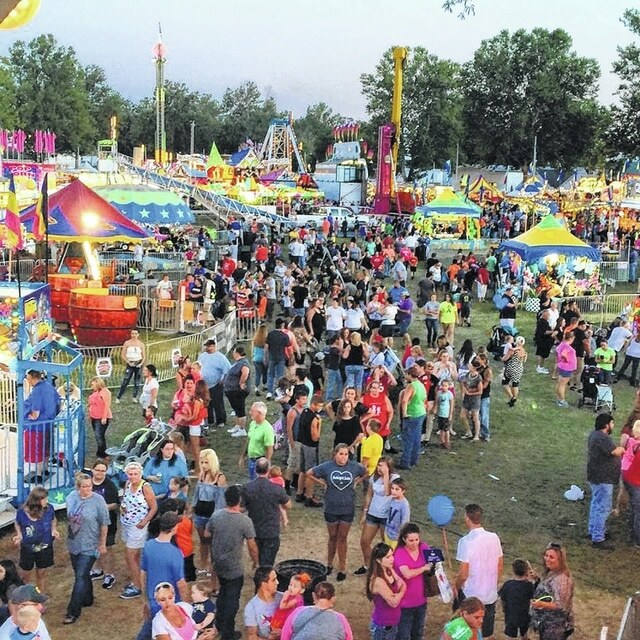 We had many positive comments from guests and even those involved in surrounding fairs,” said Robert Seaman, president of the Scioto county Fair Board. When comparing 2015 attendance, Saturday saw the highest attendance 9,178. The day’s entertainment was the Cavalcade of Thrills Demolition Derby, which typically brings an influx of people to the grounds. Monday saw 3,354 people in attendance; the Freestyle Motorcross Championship Series was the evenings grandstand entertainment. Monday was the only day at the fair for which rain was reported. Tuesday saw 4,892 people in attendance; the evenings grandstand entertainment was The Willis Clan. Wednesday saw 5,294 people in attendance; The Swon Brothers was the evenings grandstand entertainment. Thursday saw 7,402 people in attendance; the day’s grandstand entertainment was two performances by Circus Continental. Friday saw 7,441 people in attendance with the evening grandstand entertainment from the group Lone Star. The Scioto County Fair Board provided a 20-year attendance chart. Over the last 20 years the most attended fair was in 1997 with 60,255 people. With 1995 and 1996 the next highest attended years. In 1995 there were 57,380 people in attendance, in 1996 there were 57,967 people in attendance. The 20-year average fair attendance is 48,833 people; the 20 year minimum attendance is 36,351, which was achieved in 2013. According to Seaman planning for the 2016 Scioto County Fair is already underway.